Why do people fail? Because after all of the indulgences of the holidays, we tend to set super strict and unattainable goals that don’t make sense with our lifestyles, and we don’t have a plan. We say we’re going to work out every single day for two hours or eat nothing but salads or lose 30 pounds in one month. These things are not realistic, and they aren’t part of a comprehensive program to get us healthier either. That’s why we’re being bold this year and asking you to throw out the idea of resolutions entirely. So, what do we want you to do instead? 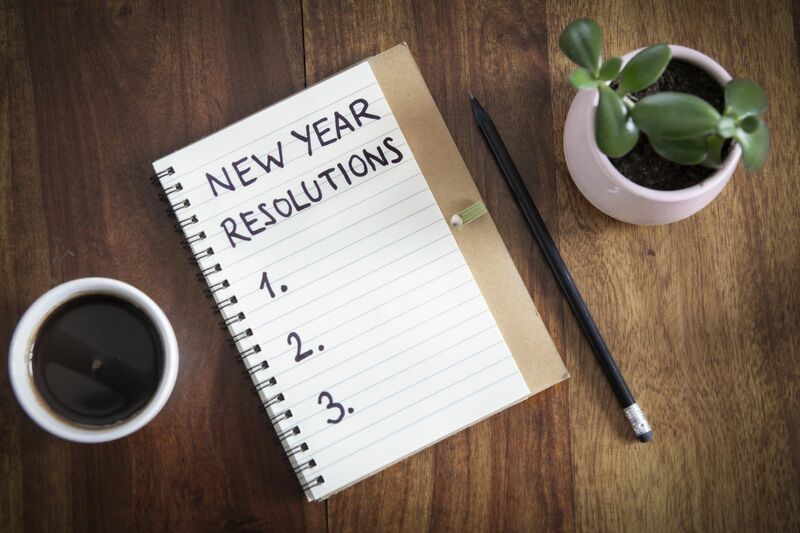 We want you to see the larger picture past the resolutions by working on making small, positive lifestyle changes every single day, that add up to larger changes throughout the course of the year for your overall health and wellness. And you can take on one small change at a time until you’ve incorporated it into your lifestyle for good, then add on another. It takes anywhere from 21 to 60 days to turn something into a habit, so you’ll have to work at it every day, but know that you’re making small adjustments for the long haul that will truly bring you to a better place — way better than any resolution may. Why is this more valuable than a resolution? Because you may not decide to resolve to get “more organic movement throughout the day, always hitting 10,000 steps,” but you can work on actively adding a few walks to your day, taking the stairs instead of the elevator and getting up from your desk more often to loop the office. These are little efforts that add up to make a big change for your overall activity levels. And you can do the same thing with adding an extra helping of fresh vegetables and fruits to your day too, upping your overall nutrition, one step at a time. The thing with making lifestyle changes is that you need to be accountable for what you’re working on, and you need a plan for what changes you need to make. Perhaps you can use a fitness journal, or join an online group, or even better, reach out to a Fitness Together studio near you (https://fitnesstogether.com/personal-trainers-near-me), because most of the time, people who are successful at achieving their goals and at making positive lifestyle changes, do it with the support of others. At Fitness Together, our trainers will help you create goals, then based off of your individual needs, they will put together a tailored plan for strength, cardio and even nutrition to get you where you want to be. Then, they’ll educate you, motivate you and be by your side to encourage you along the way. We know you’ve got a lot going on in your life, so leave some of the responsibility on us to help you through your wellness journey. Don’t bother sitting down to write your resolutions out this year. But do think about where you want to see yourself at the end of the year (and beyond) in your health and fitness, and call Fitness Together today (https://fitnesstogether.com/personal-trainers-near-me), to see how we can work with you to get you there —in a sensible and effective way through resolution season and beyond to make true changes to your lifestyle and have you feeling better than ever.